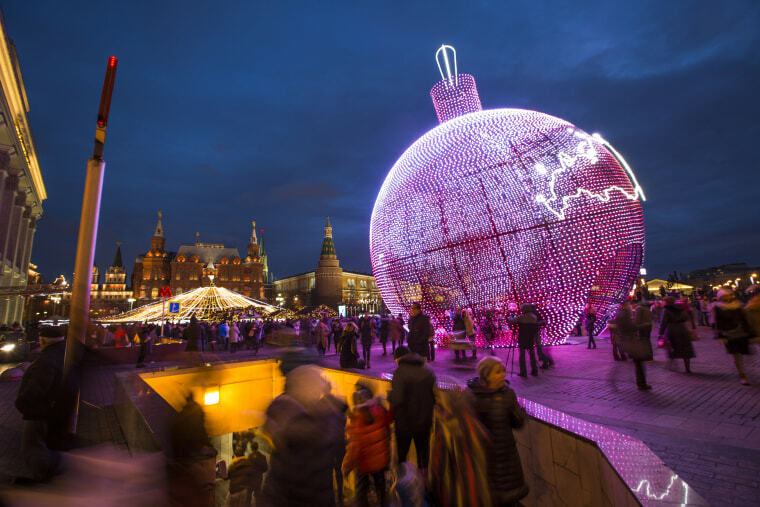 From California to Moscow and beyond, festive holiday illuminations are banishing the gloom. 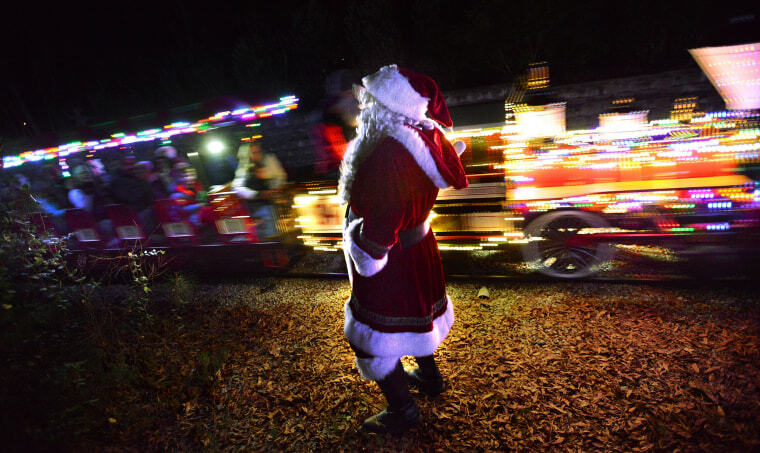 Santa welcomes passengers on the Santa Train at the Museum of Life and Science campus on Dec. 20. 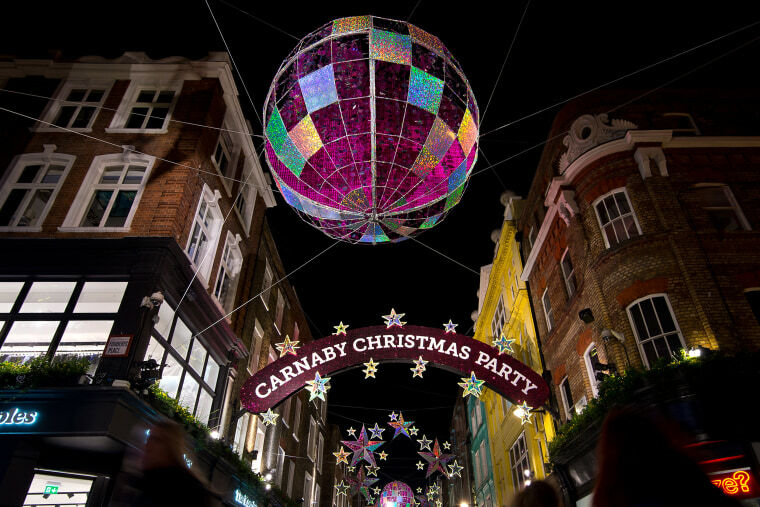 A giant bauble and stars hang over Carnaby Street on Dec. 8. British retailers are hoping for a rise in sales over the Christmas period after November's Black Friday sales failed to boost turnover. 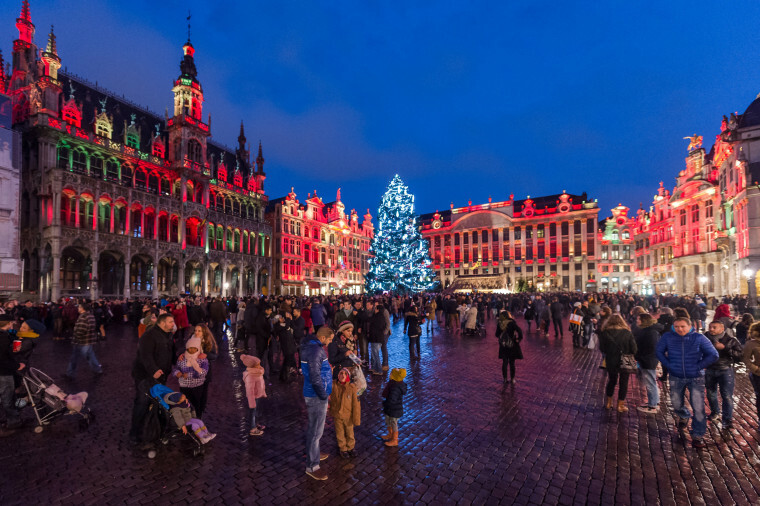 A light show decorates the Grand Place in Brussels on Dec. 12. 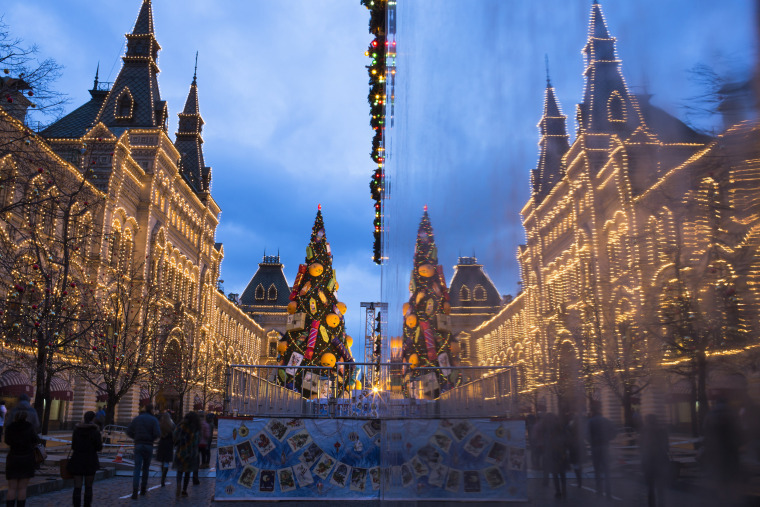 A department store is reflected on the wall of a skating rink in Red Square on Dec. 22. 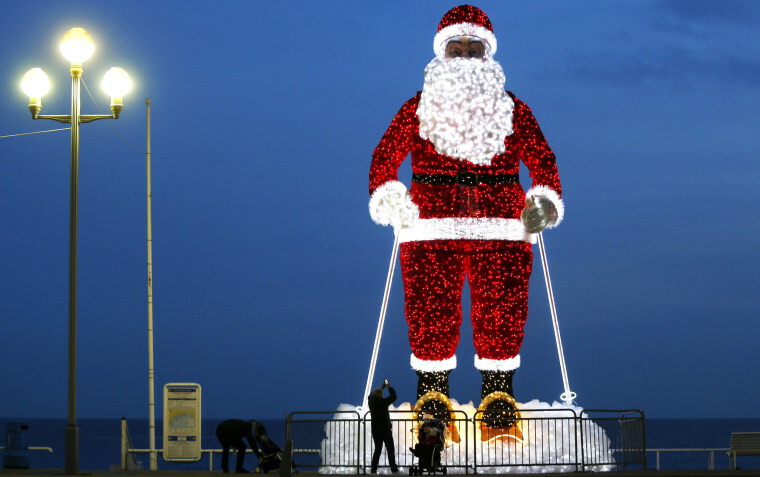 A giant Santa Claus stands on the "Promenade des Anglais" on Dec. 12. 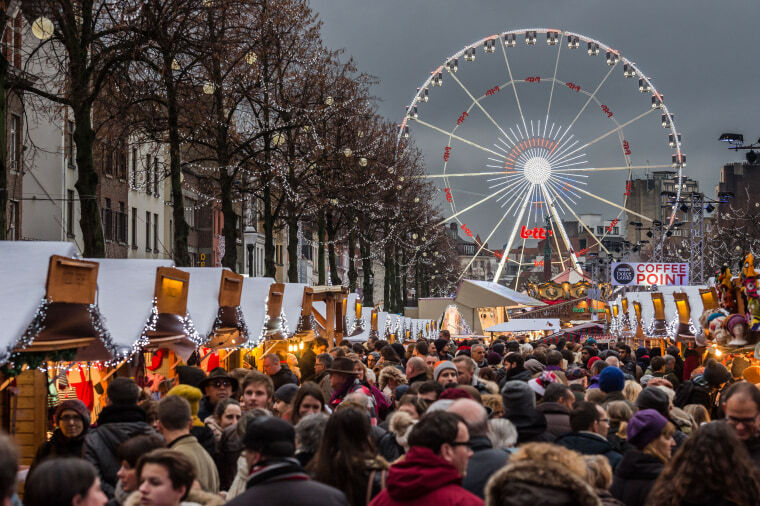 Visitors tour the Christmas market on Dec. 12. 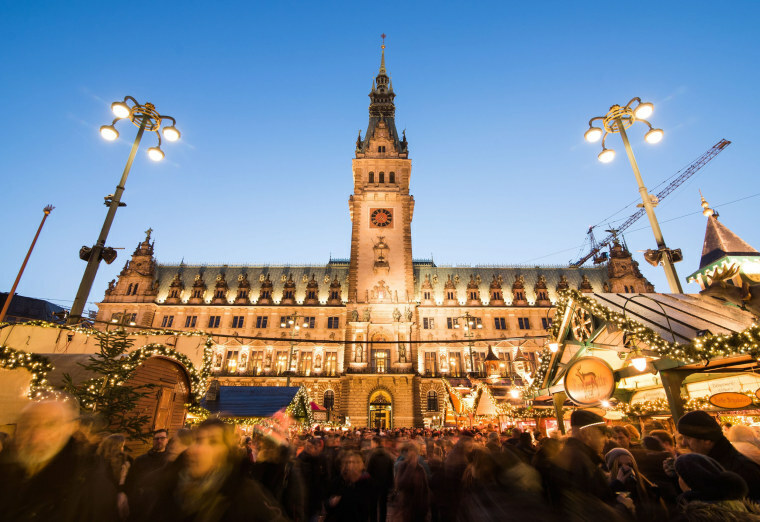 Streams of people visit the Christmas market in front of the town hall on Dec. 12. 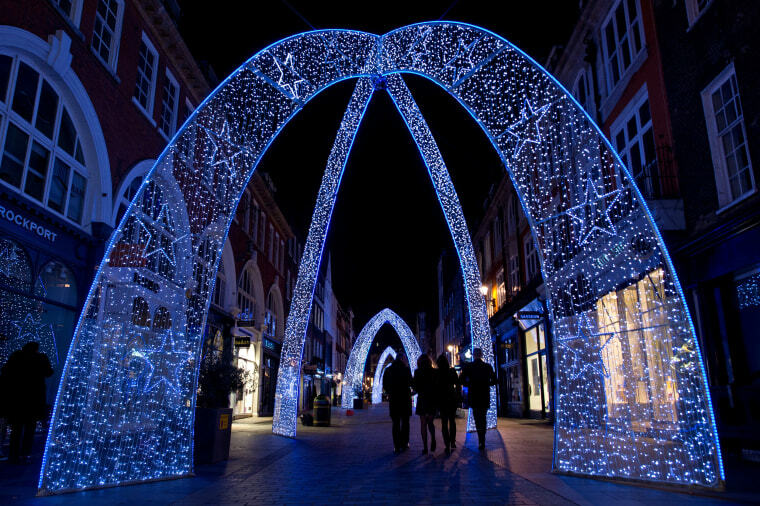 Shoppers walk along South Molton Street on Dec. 8. Muslim women take a selfie in front of a Christmas tree at a mall Dec. 13. 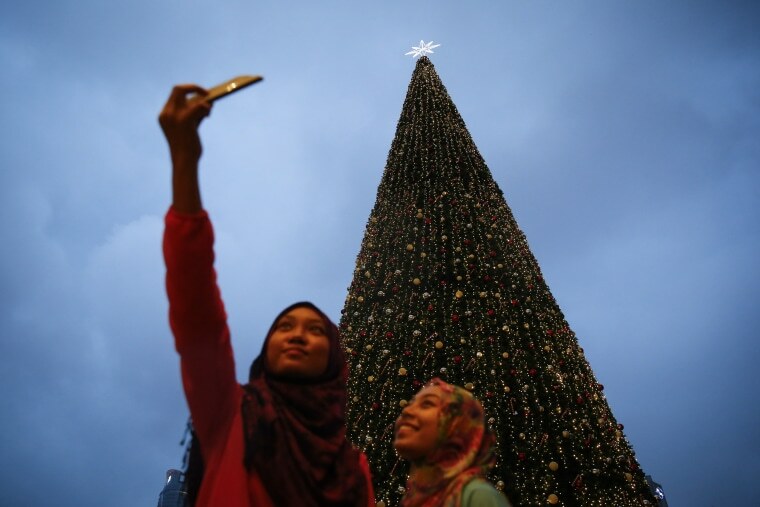 The spirit of Christmas is felt very much in Muslim-dominated Malaysia, as shopping malls in Malaysia have decorated their premises with Christmas trees, lights, and Santa Clauses as a chance to boost year-end sales. 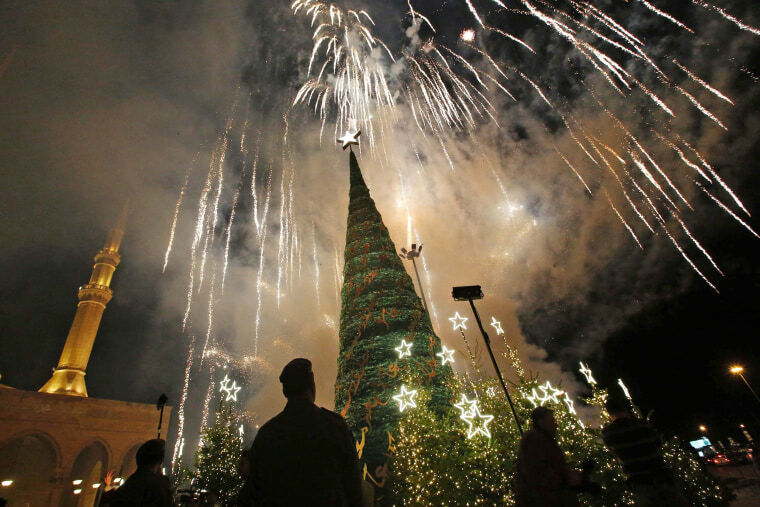 Fireworks light the sky as a Christmas tree designed by Lebanese fashion designer Elie Saab is lit in front of the Al-Amin Mosque in Lebanon's capital on Dec. 11. A Rabbi lights a Menorah to celebrate the Jewish festival of Hanukkah on Dec. 13. 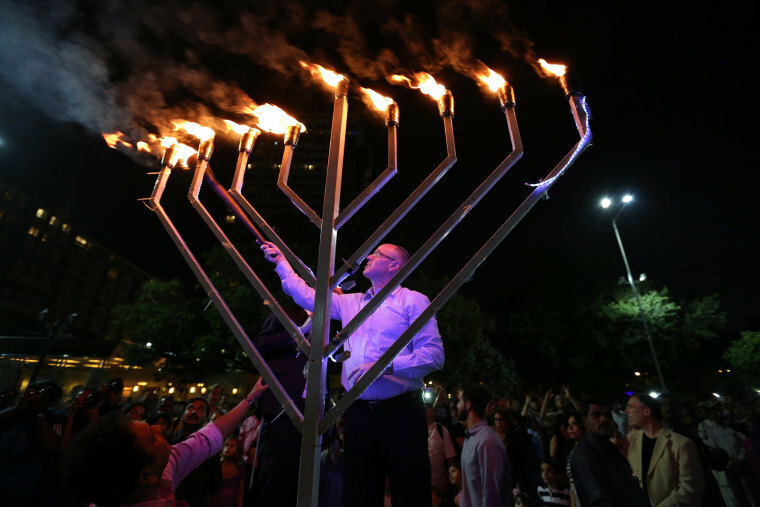 Hanukkah, the Jewish Festival of Lights, celebrates the revolt of the Maccabees in 165 BCE against the Syrian-Greek forces that had been occupying the Jewish temple in Jerusalem. Menorahs of all shapes and sizes are lit by those attending a Hanukkah service at the Temple Beit Torah on Dec. 11. 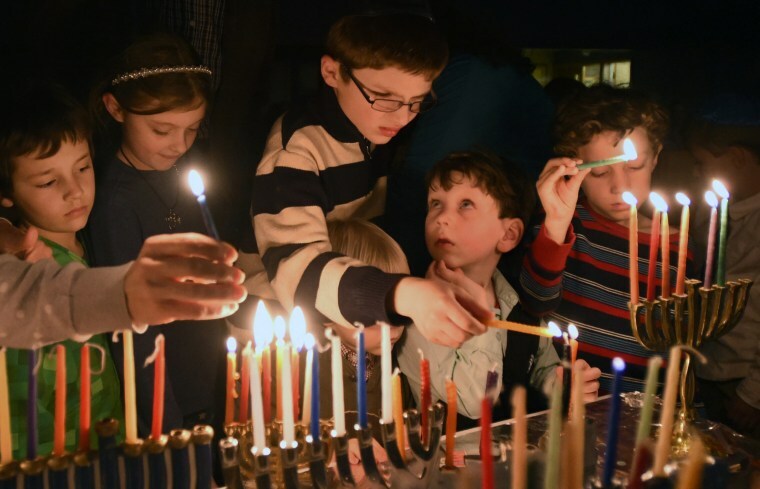 The annual tradition by the local temple was held on the 6th night of Hanukkah. 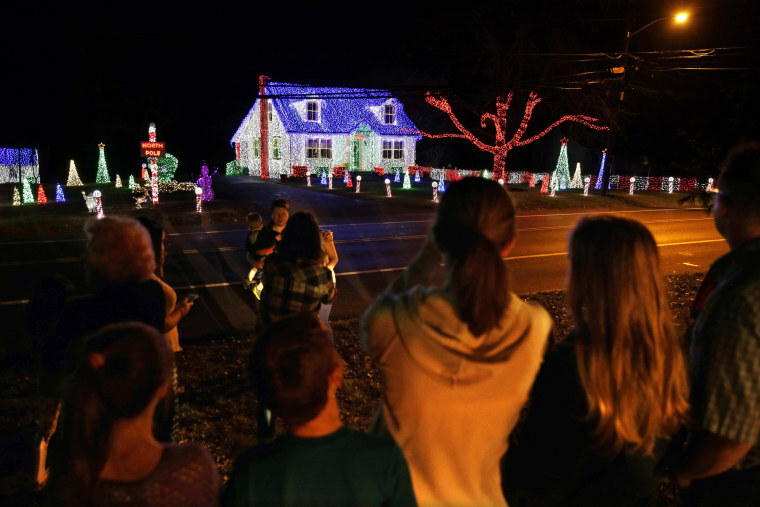 People gather to see the annual holiday lights display at the home of Amber Merefield on Dec. 13. 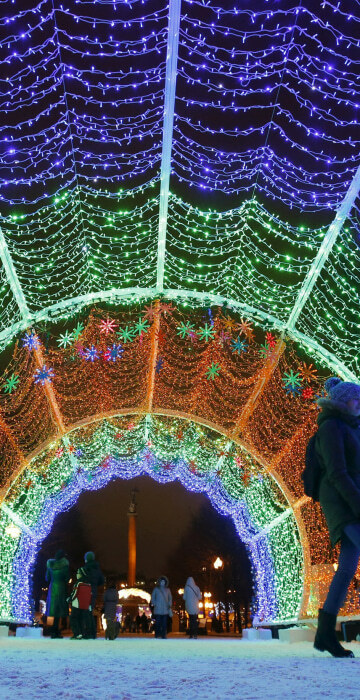 Started by her parents, the annual tradition has dazzled crowds in southern New Jersey for years, but could be coming to an end. Merefield says she will be leaving the state soon for her job. 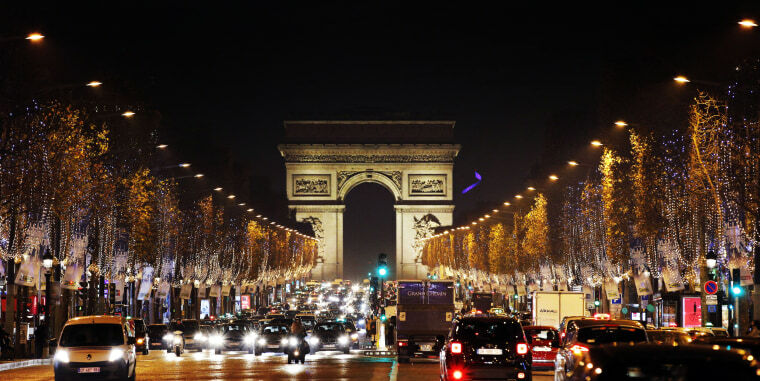 Christmas decorations illuminate the Champs Elysees in front of the Arc de Triomphe on Dec. 14. 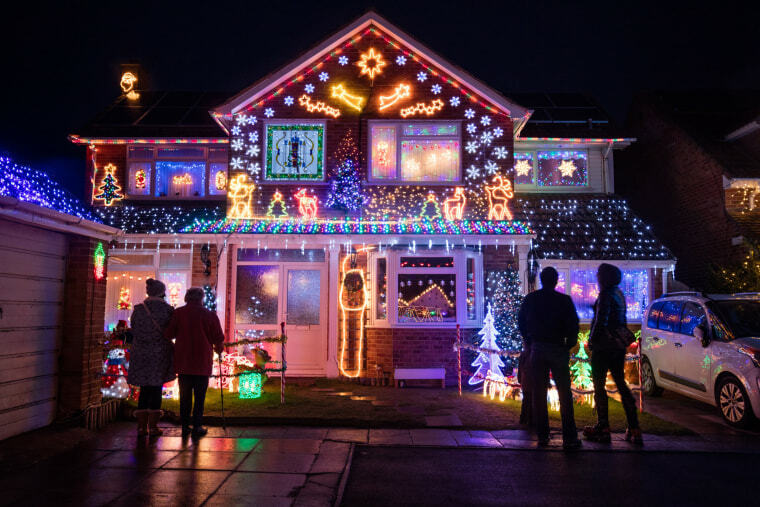 People admire Christmas lights on a house Dec. 14. The neighborhood's annual display raises tens of thousands of pounds for various charities, including a local cancer hospital. 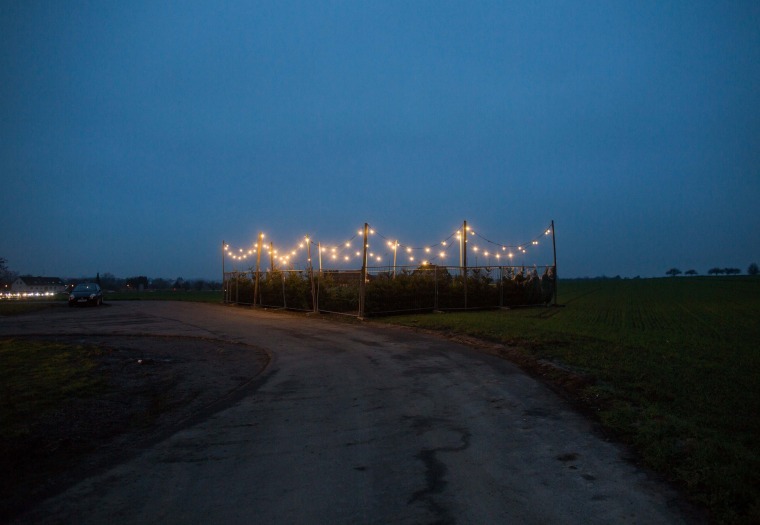 A chain of lights hangs around a sales booth to illuminate Christmas trees for sale in a field in the early morning of Dec. 15. 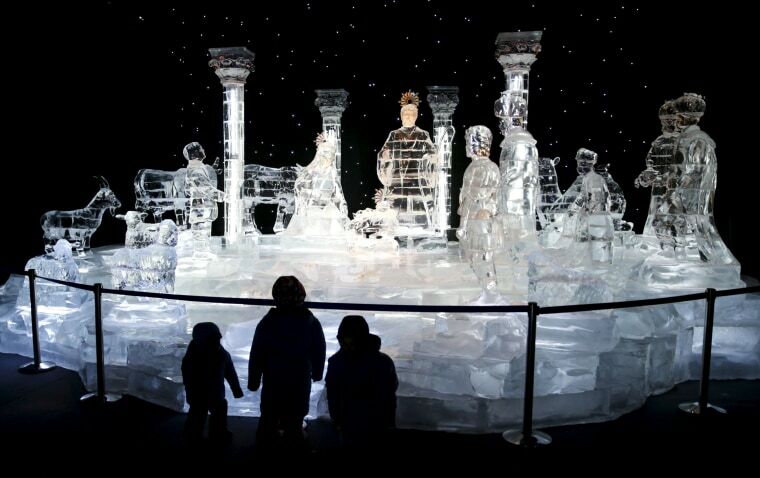 Children stand in front of a nativity scene made entirely of ice, part of the ICE! event just outside of Washington, on Dec. 15. The walk-through holiday attraction is kept at a chilly 9 degrees and contains two million pounds of hand-carved holiday themed ice sculptures and five ice slides. 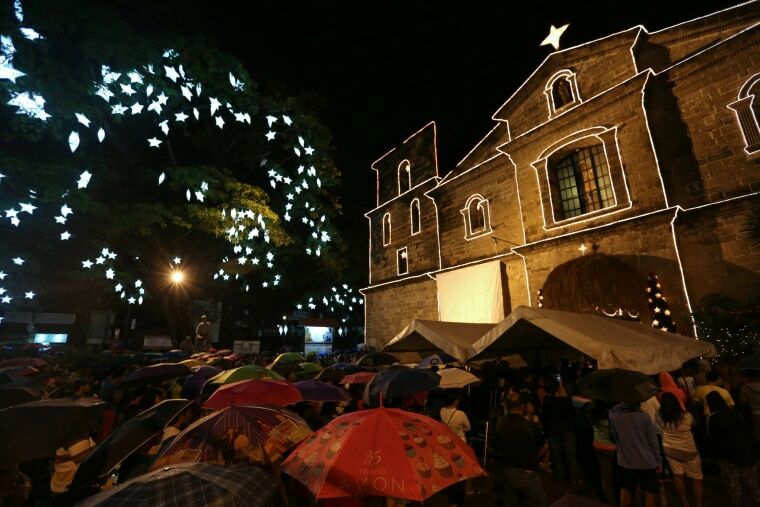 Catholics attend the traditional Misa de Gallo (Dawn Mass) during a downpour from typhoon Melor in front of a church on Dec. 16. The Dawn Mass is held for nine consecutive days prior to Christmas Day. 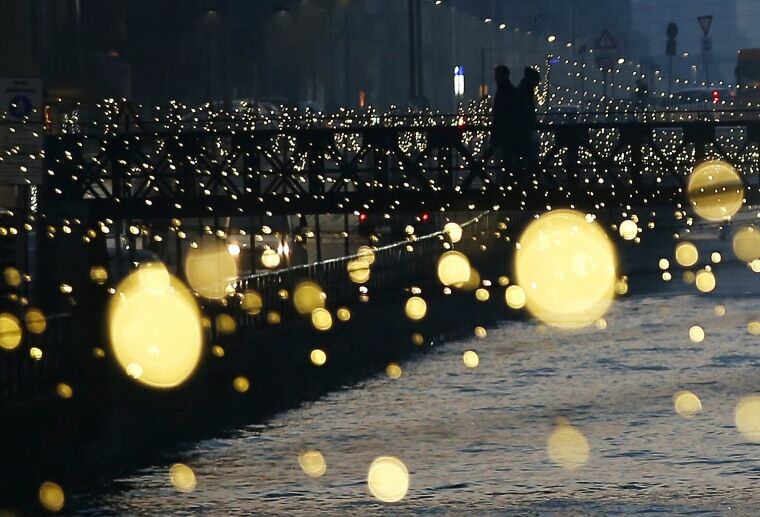 People cross a bridge as Christmas lights illuminate the Darsena dei Navigli, the neighborhood named for the canals, on Dec. 16. Lights illuminate the Christmas market in the historic town square on Dec. 16. People take pictures in front of Christmas decorations on Dec. 16. 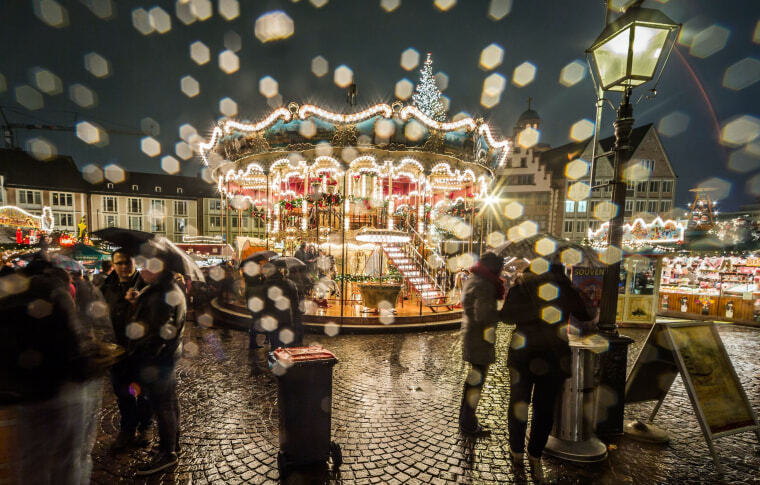 Visitors admire a merry-go-round at the Christmas market on a rainy evening on Dec. 16. 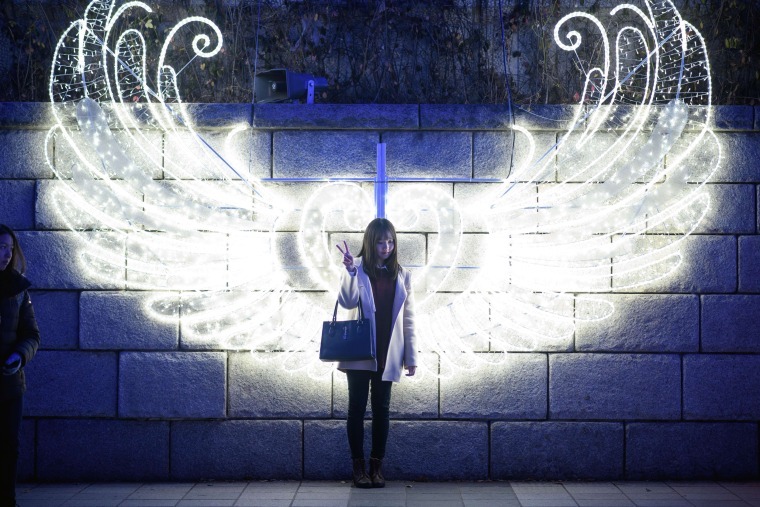 A woman poses for photos in front of a display on Dec. 17. Lights cover a home in the Sleepy Hollow neighborhood on Dec. 15. In many neighborhoods of Los Angeles, homeowners compete for the most lavish and creative holiday light displays. 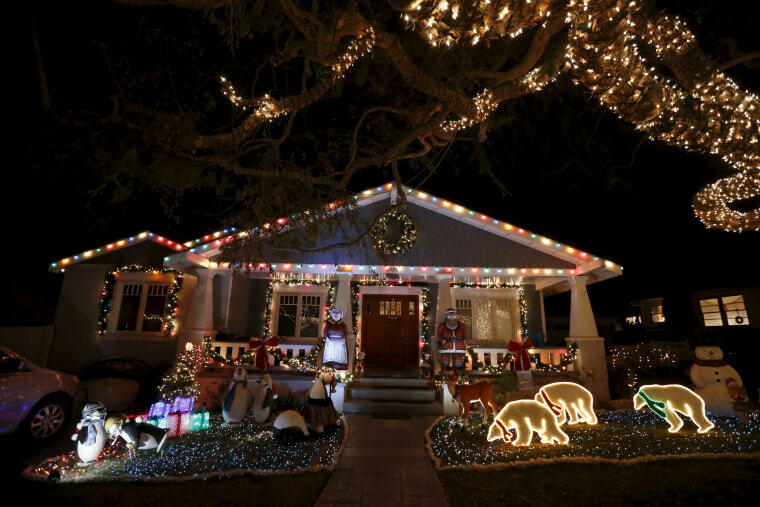 Torrance's Sleepy Hollow is one such neighborhood where every home outdoes the next: surfing Santas, life-size nativity scenes, ferris wheels, and giant inflatable snowmen line the lawns on every street. A couple embraces in Oktyabrskaya Square on Dec. 17. 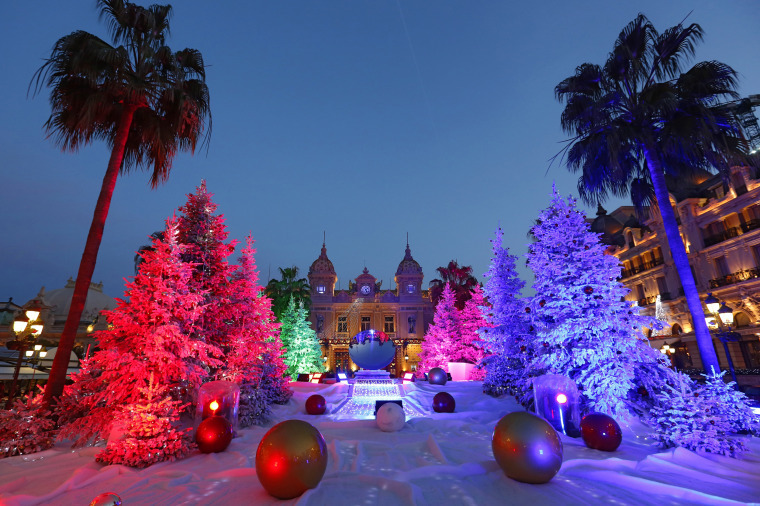 Decorated Christmas trees stand in front of the Monte Carlo Casino on Dec. 17. A couple walks past decorations on Dec. 18. 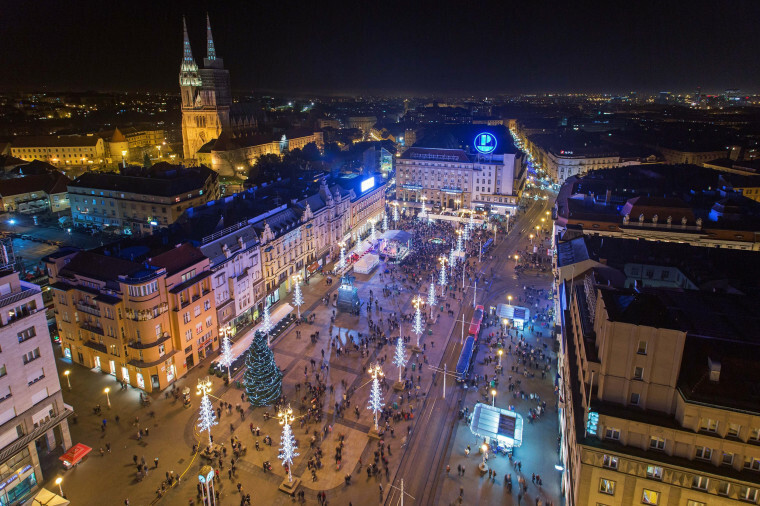 Ban Jelacic Square is lit up with Christmas lights on Dec. 13. With an ice sculpture festival, brass band fanfares and a huge skating rink, Croatia's capital is pulling in growing numbers of winter tourists in the hope of cheering its struggling economy. 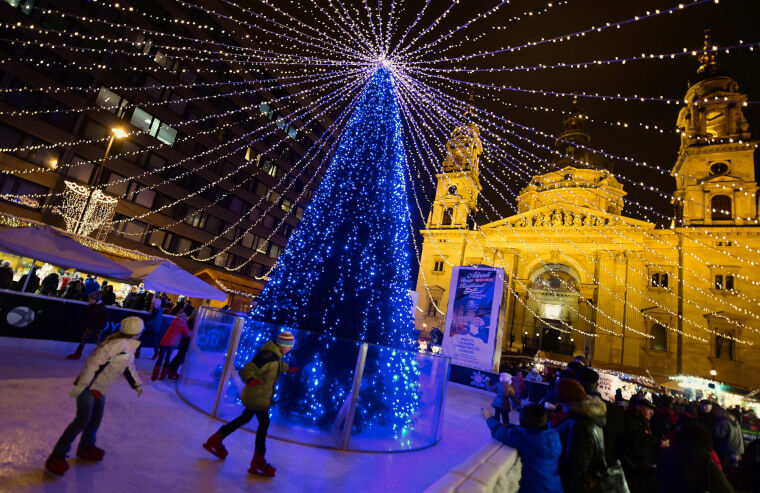 People skate around a lit Christmas tree in front of the St. Stephan Basilica, the biggest church in Budapest, on Dec. 21. 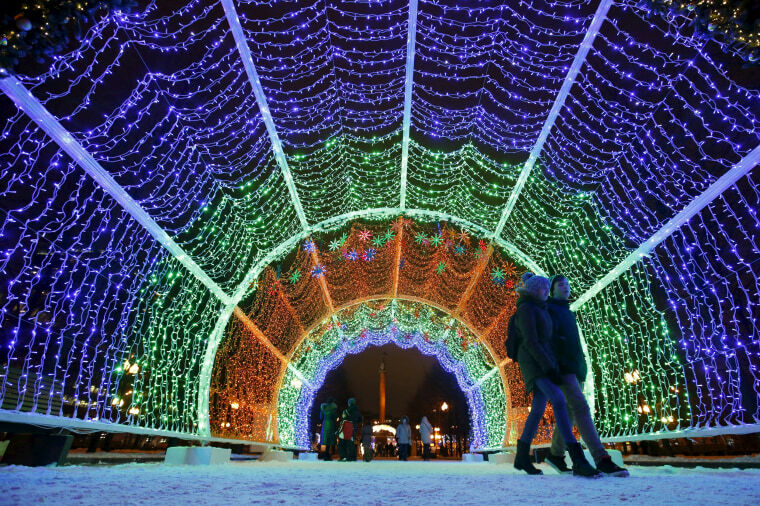 Manezhnaya Square is illuminated to celebrate the holiday on Dec. 20. Christians pay their respects at the illuminated St Mary's Catholic Church on Dec. 23, 2015. 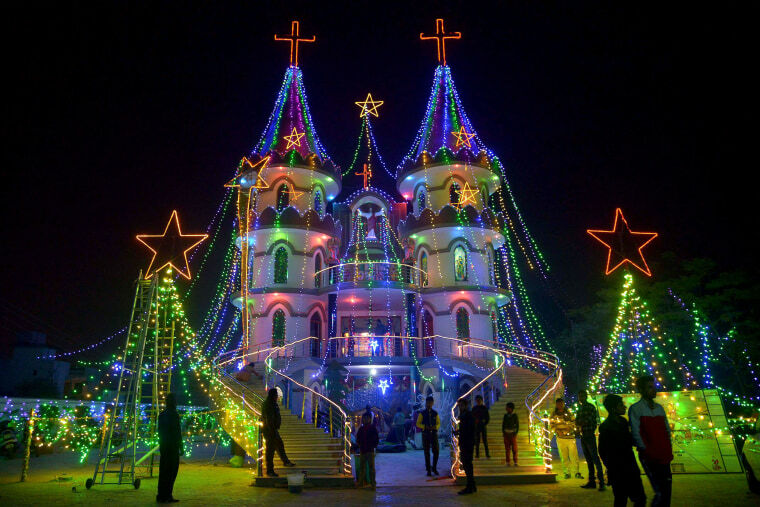 Despite Christians forming a little over two percent of the billion plus population in India, with Hindus comprising the majority, Christmas is celebrated with fanfare and zeal throughout the country. 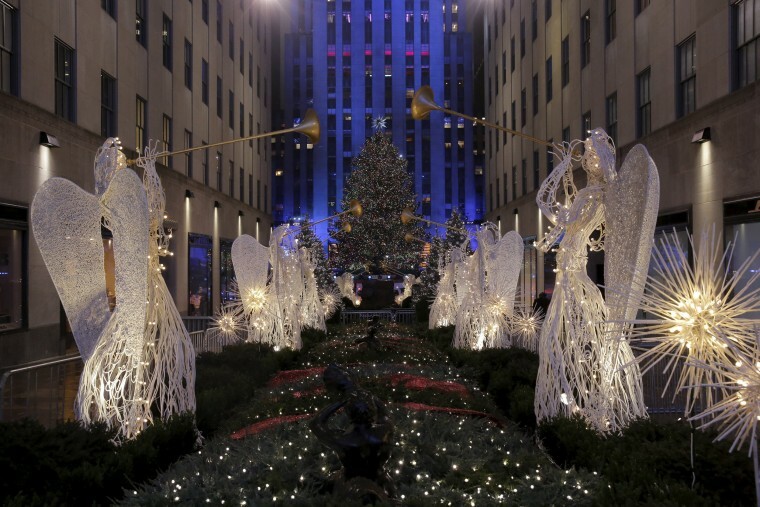 Holiday lights shine on the 83rd Rockefeller Center Christmas tree on Dec. 2. The humble Christmas tree has a rich history, from evergreen trees used to symbolize eternal life in Ancient Egypt to tree worship among pagan Europeans. 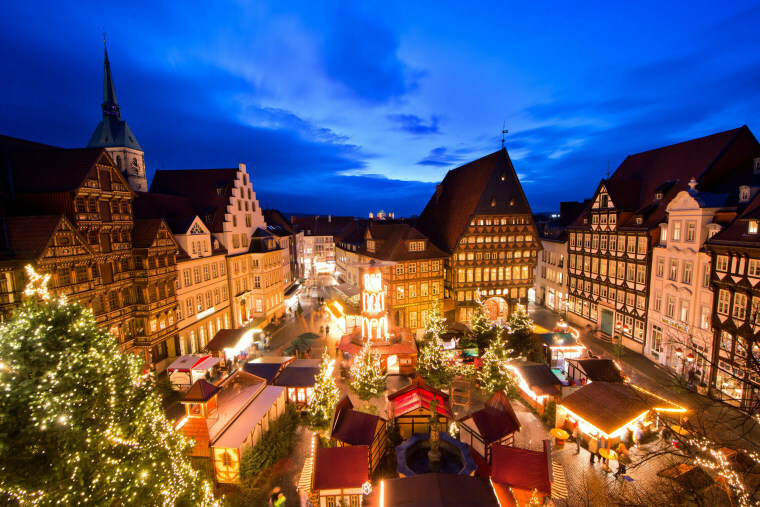 The modern version has its origins in Germany, where the song "O Tannenbaum" is still a festive favorite. Want more? 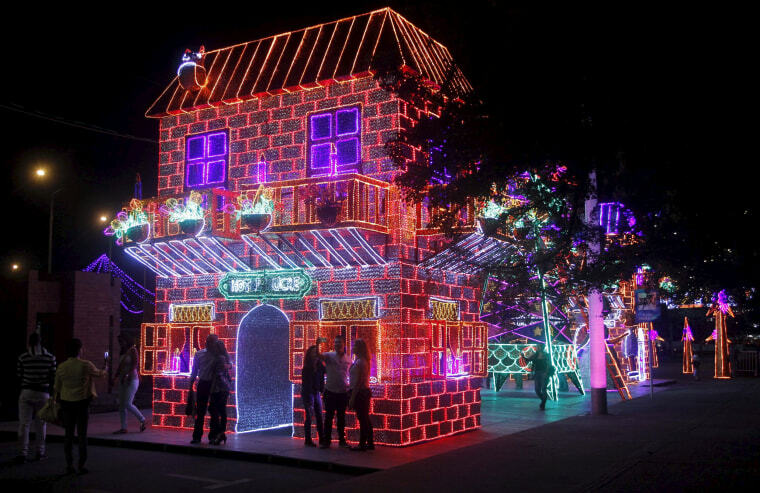 Click to see another holiday lights gallery.